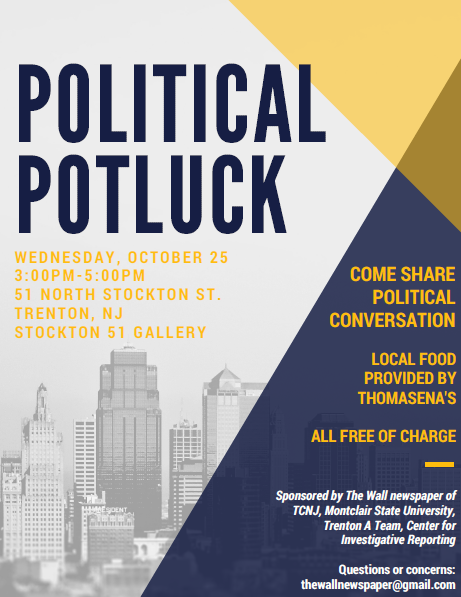 The team at The Wall is excited to announce that we are partnering with the Center for Investigative Reporting, Montclair State University’s Center for Cooperative Media, and the Trenton Community A-TEAM to host a Political Potluck as part of the Voting Block project! 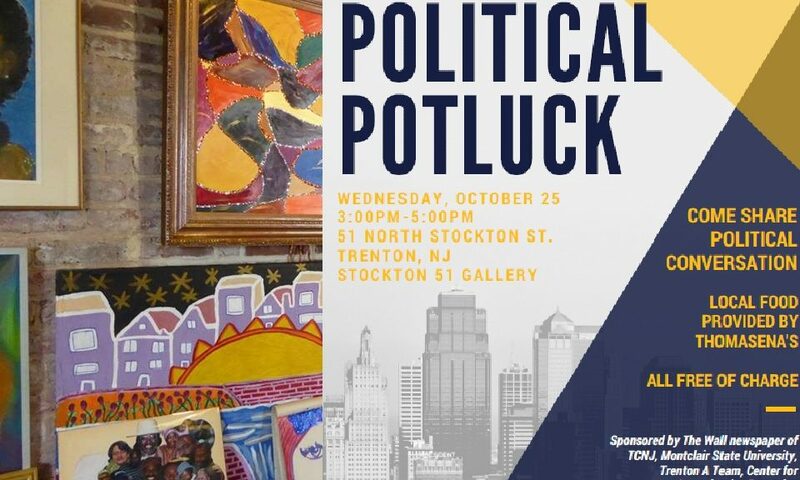 Trenton residents experiencing homelessness or poverty are encouraged to come to the Stockton 51 gallery, located at 51 North Stockton Street in Downtown Trenton, this Wednesday, October 25th at 3:00pm for a free catered dinner and to discuss public policy, politics, your views on the current state of Trenton and New Jersey as a whole, and, specifically, what you feel is important as the 2017 election nears. Please note that the dinner discussion will be audio recorded for possible broadcast in order for other residents of New Jersey to hear your perspectives. Please let us know at thewallnewspaper@gmail.com if you have any questions, and we hope to see you on Wednesday afternoon. 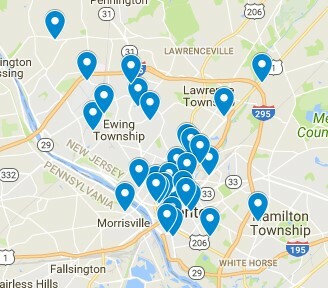 Visit https://www.votingblocknj.com/ to learn more about the project. “Trenton makes the world takes” can be seen by anyone who passes the Lower Trenton Bridge. The powerful slogan represents the historical significance of a city that was once a landmark for business and opportunity. Today, while the city is still alive with the same vivacious spirit, it is also home to high rates of homelessness, unemployment, and poverty. For many of the individuals who experience these adversities, access to the internet, technology, and a basic understanding of how a computer works underlies many of these problems. 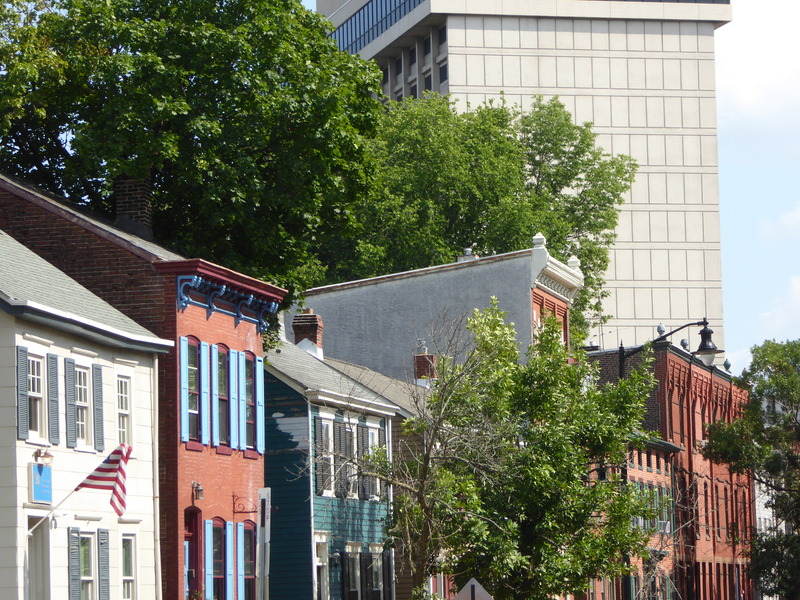 Fortunately, programs in the capital such as the Trenton Digital Initiative are working tirelessly to provide these same individuals with an opportunity to overcome such modern challenges. Although TDI does not provide families with direct Internet access, they have partnered with Comcast to implement the Internet Essentials Program (IEP). Families who have a child enrolled in the federal lunch program are eligible for IEP, which provides internet access for the price of $10 per month. 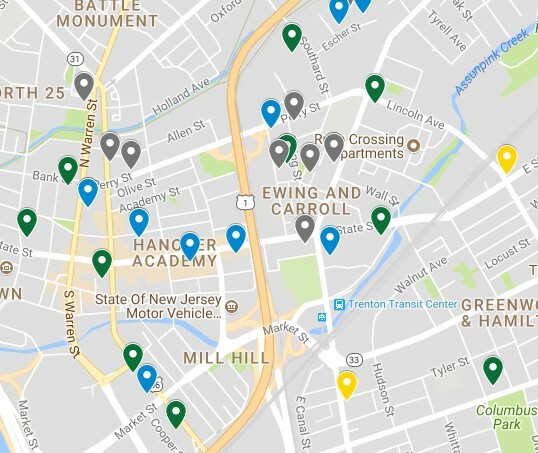 According to the City of Trenton, 62 percent of K-12 public school students in the city are enrolled in the federal lunch program and a large majority of these students now have access to the internet through IEP. Families receiving housing assistance are also eligible for the program. Dave Zboray, the program’s cofounder spoke of the importance of Internet access to many of these families and children: “Imagine for a day, let alone a year, that you don’t have access to your laptop. What does that mean? You don’t have access to education.” For children in particular, the lack of access to this important resource can hinder academic success and achievement. Zboray also discussed the lack of public technological resources in the city, citing the city’s few libraries as a limited source of access. 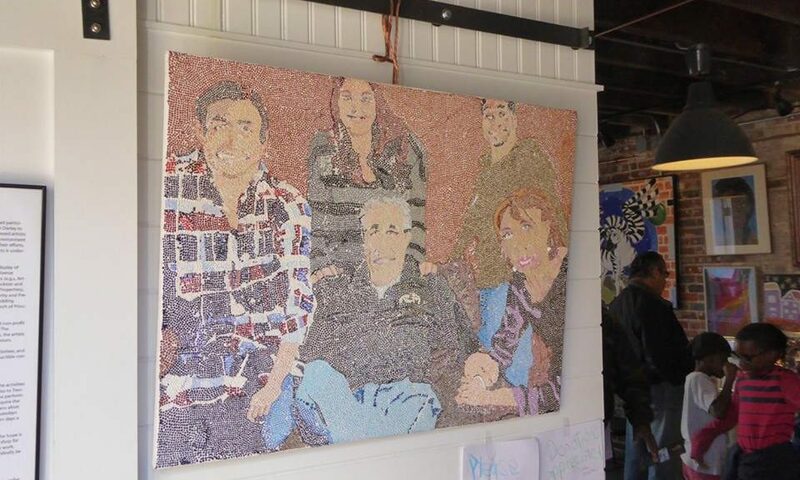 Zboray’s work continues to make a positive impact on the residents of Trenton. He cheerfully recounts the experiences of the residents that he has worked alongside. For example, an unemployed single father of two received a computer from TDI. The same day that he received the laptop, he started to apply for jobs on the internet. With technology and the internet become more and more of a necessity, programs like TDI are moving the lives of many forward and working to close the gap one computer at a time. In addition to families, single parents and children, many of the elderly in our communities are faced with food insecurity. According to Feeding America, about 8% of households (2.9 million seniors who are above the age of 65) experienced food insecurity in 2015. The Mercer Street Friends Food Bank’s website states that oftentimes the elderly have to chose between food and medicine. Food insecurity has a dangerous impact at any age, but it can be particularly problematic for the health of the elderly. The Mercer County Nutrition Project for the Elderly is combating the problem on two fronts, providing access to satiating, nutritional meals and an opportunity for these individuals to engage with their communities. “This program is quite different from other programs because they stress on the importance of socialization; it is a program that is catered for the elderly to get a warm meal,” says Jenifer Williams, the program’s Executive Director. The program is also unique in that it provides these same services to those who are homebound and immobile, as well. The program, which is both locally and federally funded, runs from Monday to Friday. The only requirement is that the client or his/her spouse must be over the age of 60. Kamille Munger, a client of the program, said that she started visiting the program with her husband years ago. Today, the same location is where she seeks closure for her husbands and daughter’s deaths through an extensive network of friends that she first met there. 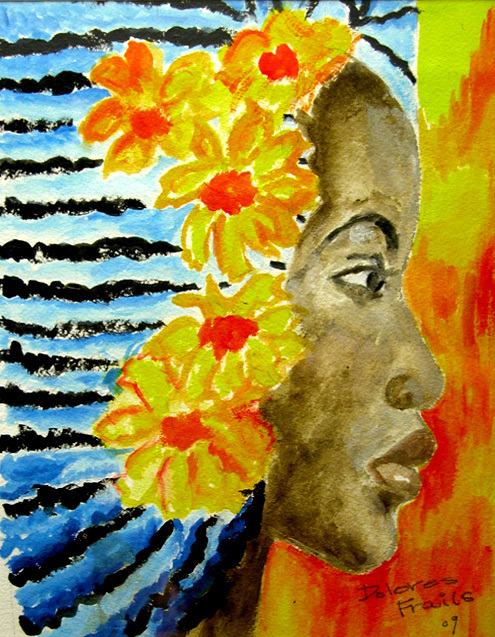 In this way, the organization has helped her work through a challenging period of grief and depression. Another organization that delivers similar resources and support to individuals who are homebound is Meals on Wheels of Mercer County. With the help of a large base of committed volunteers, the organization delivers meals to these individuals. Patrons may receive one hot meal and one cold meal per day on Mondays through Fridays. There are also a small number of weekend meals available to weekday meal recipients. In addition to these services, the program offers nutrition education, shelfstable groceries once a month, ‘Blizzard Bags” during inclement weather, and pet food for those who need them. Although the program only requires that patrons be over the age of 21, Sasa Montano, the Executive Director of Meals on Wheels of Mercer County, said that the program finds that it is serving an increasing number of elderly residents who are immobile. The program allows patrons to can choose the day, meals and length of the services that they need. A nutritionist determines all the ingredients and meals provided on a daily basis. Additionally, the program uses federal poverty guidelines to determine if patrons require a subsidy. Moreover, they provide these individuals with the independence and nutrition that they need. These two programs serve as an important resource to an often-overlooked population in the community. On 794 E. State St in Trenton is the Martin House, the building from which Father Brian McCormick of the Catholic Diocese first established his non-profit organization, Better Community Housing Trenton (BCHT) in 1972. Fa ther Brian McCormick, known as Father Brian within the community, devoted his life to building the organization into what it is today: A non-profit that restores dilapidated and neglected homes and sells them strictly to struggling families in the region. According to their website, the purpose of BCHT is to provide home ownership and ownership skills to those who fall below the poverty line. The Martin House itself was designed as a clothing store, in which members who qualified for and purchased a home had to volunteer one day of service to the Trenton community. In the store, individuals can purchase a grocery bag of clean clothes for eight dollars, and those with special conditions (behavioral issues, burn victims, physically disabled) receive this clothing at no cost. Martin House receives the majority of their inventory from donations, a portion of which is from locals moving out of the area. Originally, the bulk of the building housed only the Martin House, but when the organization started to expand and sell homes, Father Brian McCormick decided to use the adjacent buildings (through very generous donations from the community) to add new wings to the Martin House. Likewise, the staff originally consisted only of Father Brian, a few priests who resided in the bedrooms, and a few secretaries. Now the former bedrooms and wings are used for recreational or Martin House sponsored events. These events embody the vivacious spirit of the East Trenton community, attracting individuals from across the state including actor Martin Sheen who attended a program in 1989. Along with the Martin House is the Martin House Learning Center operated by Ms. Sheila Conway. Conway devotes her time to hosting a number of educational, recreational and social activities including boy/girl scouts, a preschool, and afterschool programs. In conjunction with these educational initiatives, parents were invited to study for their GED alongside their children as they complete their schoolwork. In 2011, BCHT completed a project on the 900th block of E. State Street where they built twelve new homes. This was the last project by Fr. Brian McCormick who reached the age of 70 and retired as per the regulations of the Catholic Church. Unfortunately for the Martin House, the only tie that the Diocese had to the organization was Father Brian McCormick, and without a new priest to take up the reins, Martin House no longer has access to a $120,000 stipend from the Catholic Diocese. Unfortunately, this has taken a toll on the home rehabilitation operations. Despite not having the help of the Diocese, many of the organization’s Catholic affiliations are still very much involved with BCHT’s efforts. The Martin House is currently headed by Pearleen Waters. Waters, the Chief Executive Director of Operations, became a homeowner as a result of the Martin House several years ago. Waters spends her time sharing the organization’s rich history and advocating for individuals’ equal opportunity to own and maintain their own home. “With housing in general, a basic necessity in life, it is very upsetting that some people cannot even maintain a roof over their heads,” said Waters. Despite the humanitarian merit of the organization, Waters admits operations have become difficult without the funds from the Diocese, and Martin House requires a contractor and bookkeeper in order to continue with home rehabilitations. Martin House accepts donations of all kind and encourages those who may have spare furniture or clothing to stop by and donate. 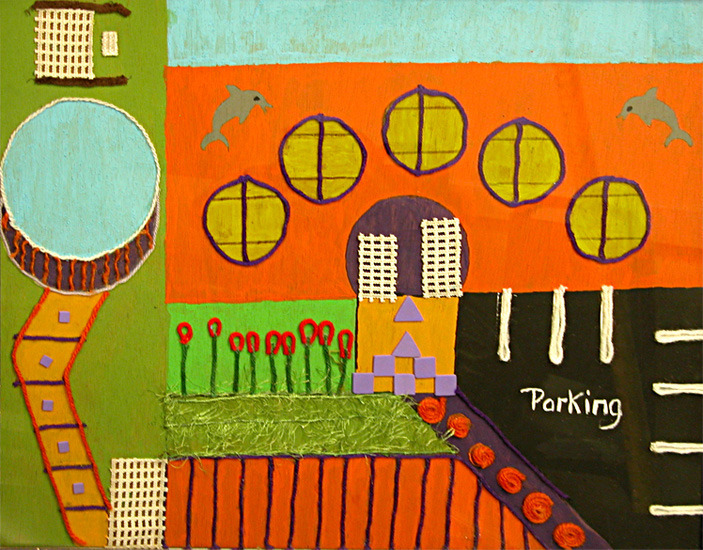 Sixteen years ago, a small group of visual artists met with Extra Helpings volunteer, Susan Darley, to discuss the possibility of forming an art cooperative within the Trenton Area Soup Kitchen (TASK). 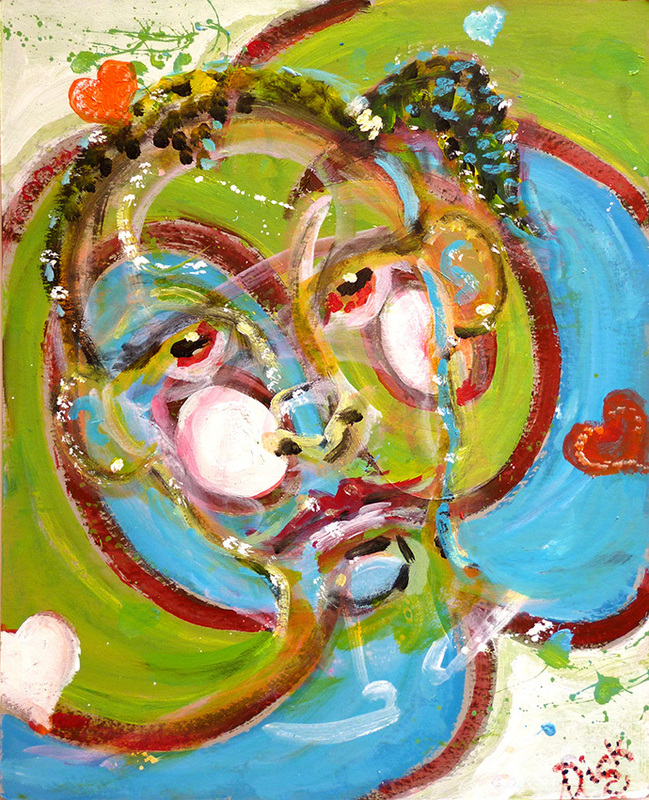 Founded in 2001, Extra Helpings was a small art program designed to alleviate the stresses of poverty by encouraging artistic expression. 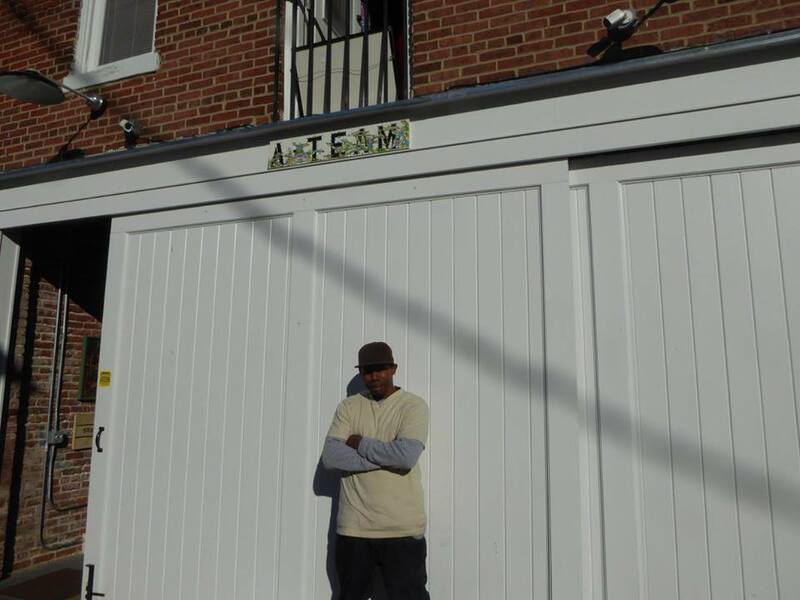 The small collection of amateur artists came to be known as the A-TEAM, eventually morphing into the Trenton Community A-TEAM (formerly know as TCAT), which recently opened Stockton 51, a neighborhood art center within a previously abandoned two-story carriage house at 51 North Stockton Street in Downtown Trenton. The space was given to the A-TEAM by Isles Inc., a Wood Street nonprofit organization that is working to establish an arts district in the surrounding community. 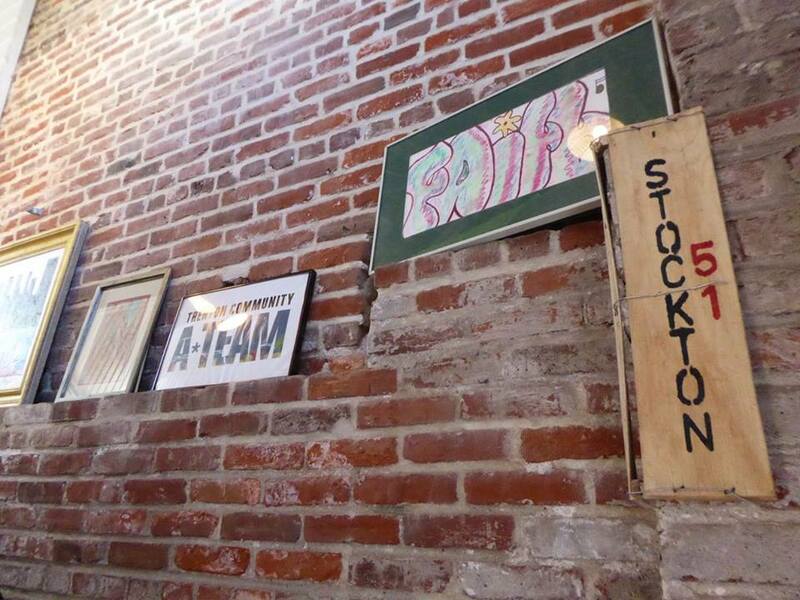 Today, the Stockton 51 art studio is a popular haven for a number of local painters, sketchers, musicians, and sculptors to unwind from the vices of urban life in America, and simply create. 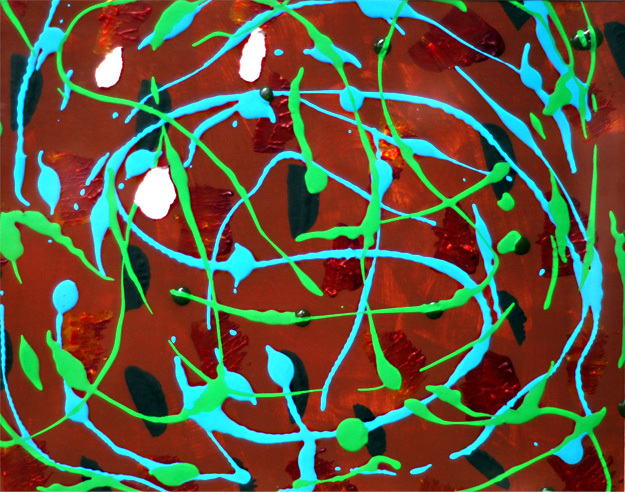 The goal: sell artwork and realize the benefits of seeing hard work come to life. From the beginning, the artists decided how the A-TEAM would operate and which projects it would undertake. 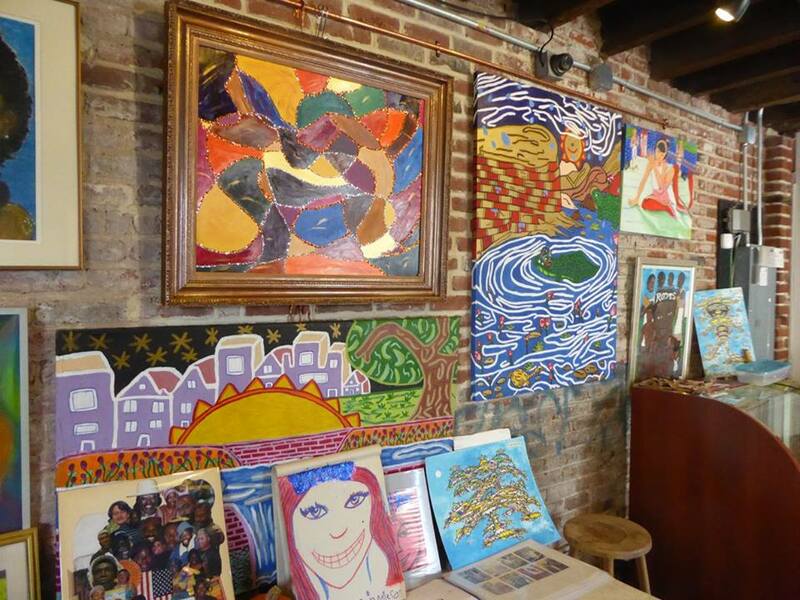 In this way, “membership in the group also provided an opportunity for the artists to learn entrepreneurial skills,” said Darley. 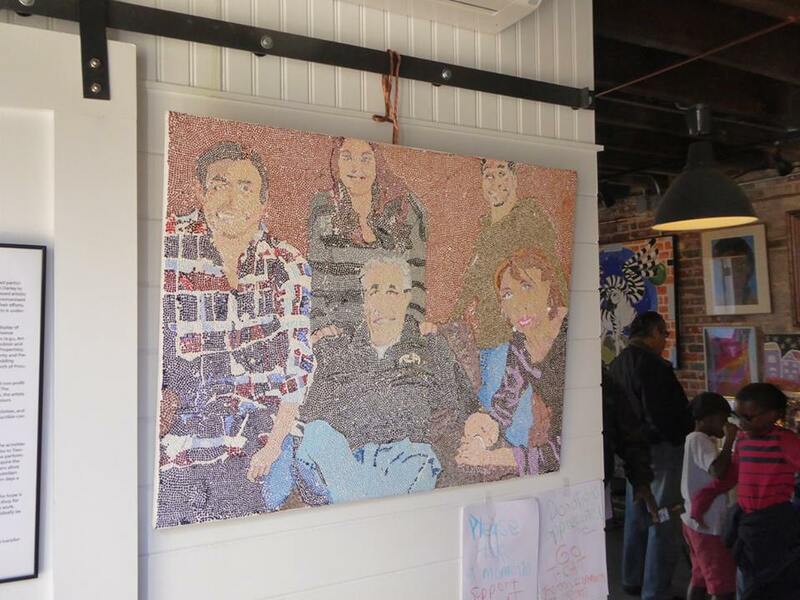 Moreover, the A-TEAM artists have given back to the Trenton community in a multitude of ways, by lending work to local businesses and non-profit groups, or by leading monthly art workshops for residents of the Rescue Mission of Trenton and patrons at The Arc Mercer. This is one of the countless examples of how this facility has given back to its community. One artist in particular has had a profound impact on the A-TEAM family. 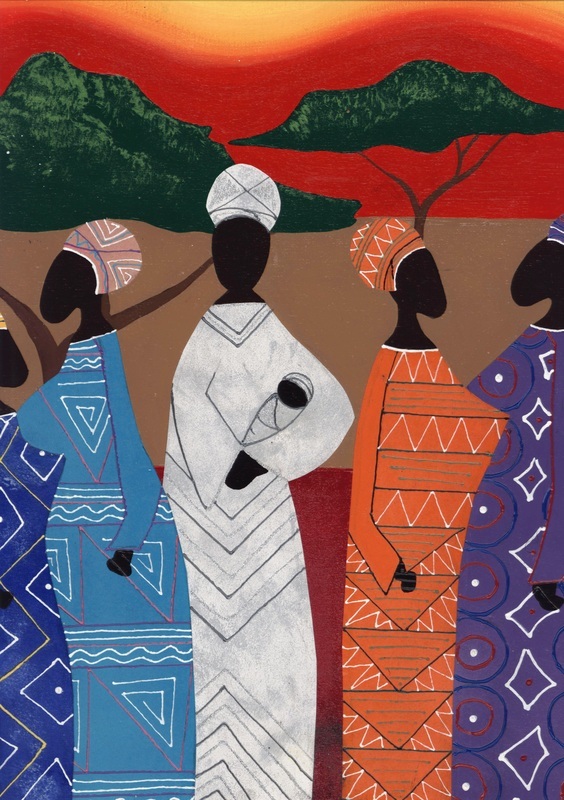 Self-taught artist Walter Roberts, Jr. learned how to shade from his sixth grade math teacher. His teacher told him that if he taught him how to shade, he had to start paying attention.Today, Roberts is celebrating over twenty years as a member of the A-Team and considers his ability to shade his greatest strength. 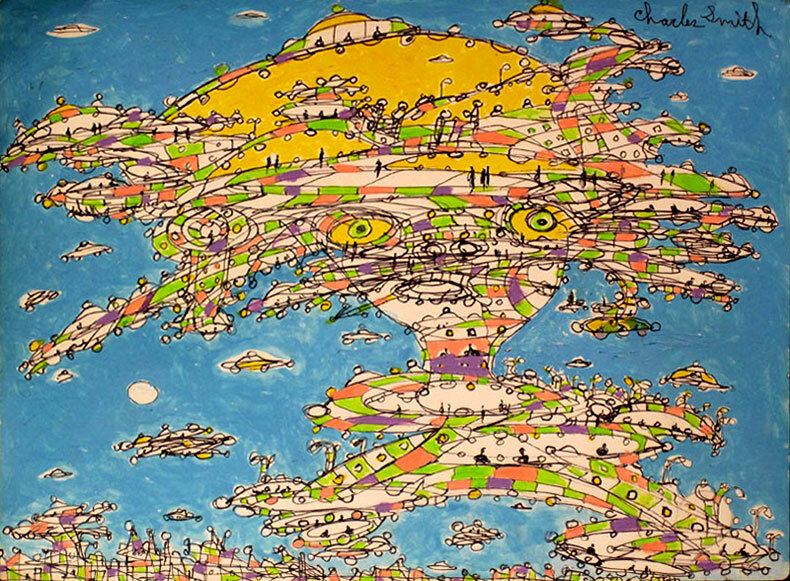 Derrick Branch, another self-taught artist, has been with the A-TEAM for over ten years. A bass guitarist, Branch helped begin a music program within the TCAT crew and hopes to see it expand in the coming years. 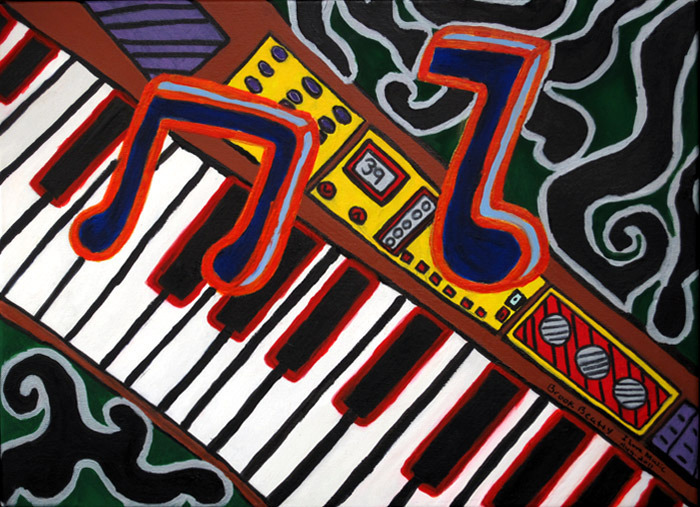 Branch, in collaboration with other musicians, has made several hip-hop compositions, in addition to rehearsed renditions of prominent Jazz scores from musicians like Duke Ellington. 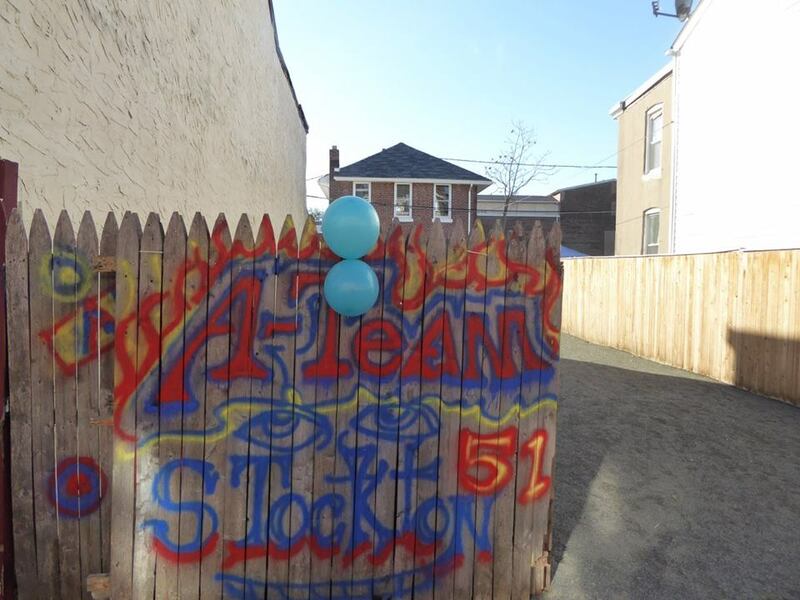 For many of the teens who go to the studio to paint, draw, build, jam, sketch, or create, Stockton 51 is a healthy way to stay off of the streets and out of trouble. 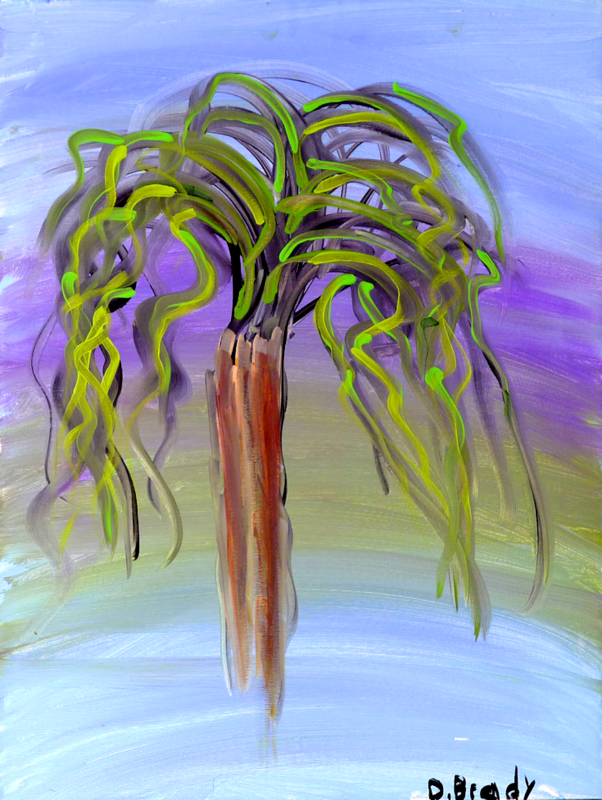 Well equipped with tools and gadgets, artists can spend endless hours creating and composing. 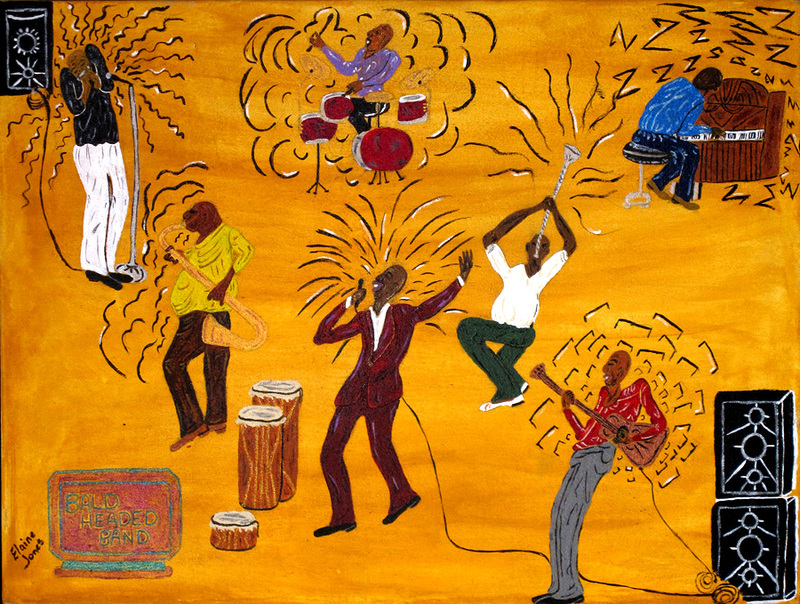 Roberts recalled several nights where he and other artists worked until 8 in the morning to complete some of their more complex pieces. Roberts’ was happy to share one of his proudest pieces: a portrait of the 20th century academic and activist Angela Davis. Roberts’ worked for five straight days without sleep to compete the piece—his desire for perfection acting as the sole motivation to stay awake. 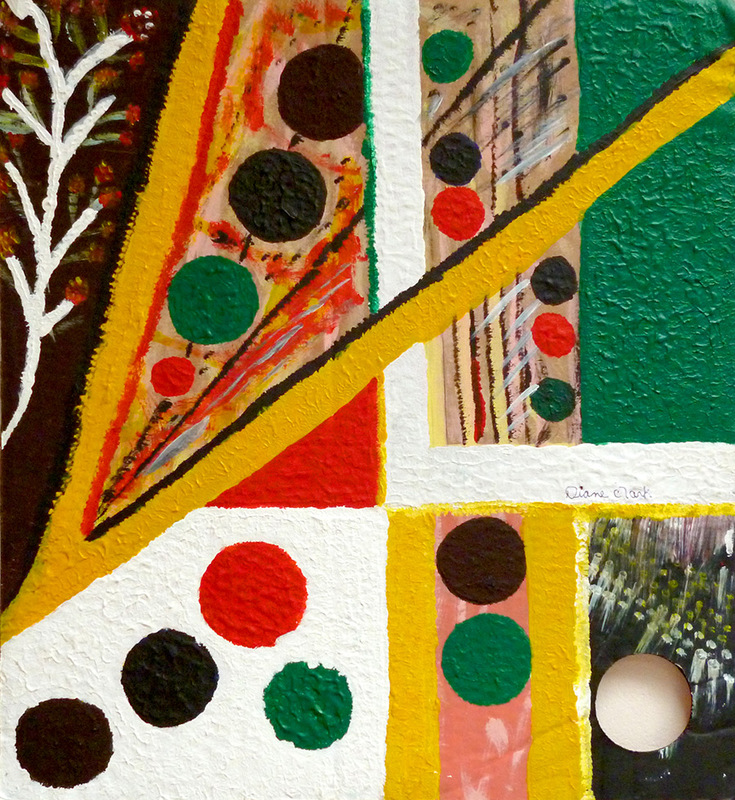 Looking forward, TCAT hopes to go three-dimensional: the artists want to pursue projects that don’t just hang on walls. They are looking to create statues, T-shirts, clothing, and jewelry. With new projects and ideas constantly flooding in, TCAT will continue to change and expand. A gift shop is currently being built at Stockton 51 and the artists are always redefining their image, both as creators, and as contributors to the community. 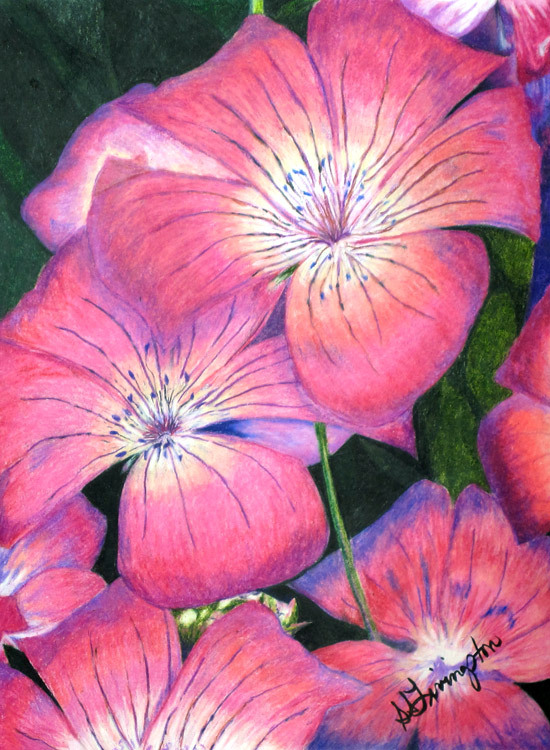 If you are interested in buying art or would like to reach out to one of the artists/directors, please go to their website at www.trentoncommunityateam.org. Written with and for individuals experiencing homelessness in the Trenton, New Jersey area. 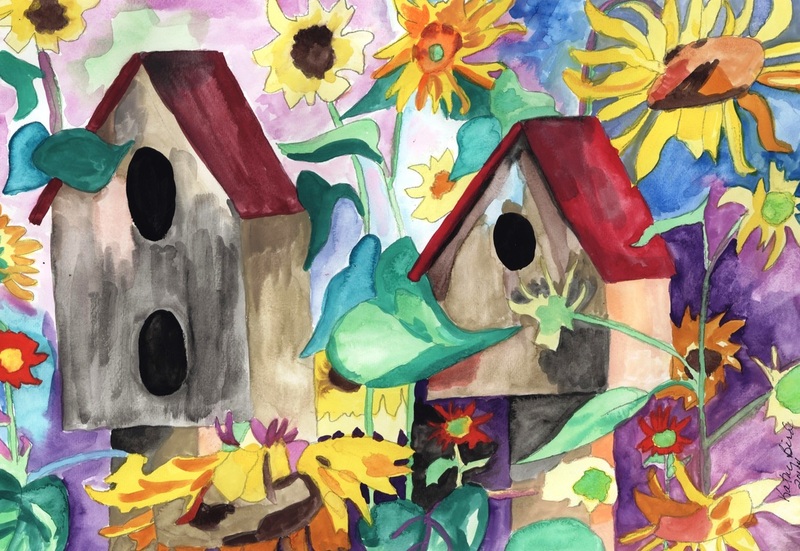 Published biannually by the Bonner Institute of The College of New Jersey's Center for Community Engaged Learning & Research with and for individuals experiencing homelessness in and around Trenton, New Jersey. 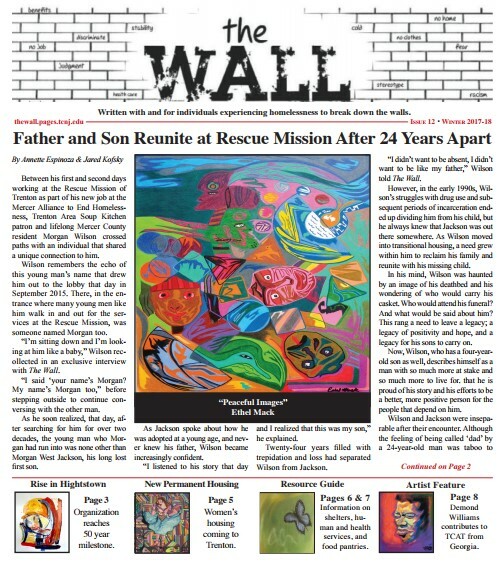 Send story ideas to thewallnewspaper@gmail.com.